Or, Why You Keep Hearing "Make Your Name Bigger!" OK, now for ebook cover design, we're going to focus on two layouts. They call them "The Z Layout" and "Perspectives Layout" in that handout, but I'm going to use the terms I was taught instead: The Hourglass, and The Triangle. StarDogs note the starship is not at the exact center of the page, but if you draw an X across the cover, starting at each corner, the starship fits almost completely inside the hourglass. Thus, it feels balanced to the eye. The tag line, on the other hand, does not - and that's why it looks slightly "off" for the cover. Ride The Rising Tide On this one, the starship itself is positioned to outline the X, and completely fills the hourglass. 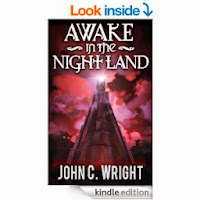 Because the title is so long, it's unbalanced for an hourglass, and the tiny series heading would have been too short - unbalanced - if stuck beneath the title. So, Oleg put it on top, making a second triangle of the series/title text. In case you hadn't figured it out, you're rarely going to get a "perfect" design illustration that absolutely follows the outline of the hourglass. It's a rule of thumb, not a commandment, and it's supposed to help you figure out what looks subconsciously pleasing to the eye. You can violate the heck out of it and have an awesome cover - but it really helps to know the rules so you know when and why to break 'em. Baptism By Fire here, which is a great book in the Monster Hunter International style, has a good strong central image, and the top text is perfectly balanced for the hourglass layout - but the Author Name at the bottom is way too small. To properly balance, it should fill the bottom of the image in the same way the title fills the top. This is (a large part of) why we keep saying "Make your name bigger!" Ok, on to The Triangle, which had a much more complicated name of "perspectives" in the handout. Every Perspective has a vanishing point and a foreground making a triangle. It's much simpler to just say "triangle" instead of trying to isolate the vanishing point, because really, the triangle's the thing wherein we'll catch the conscience of the king... or at least the pocketbook of the reader. 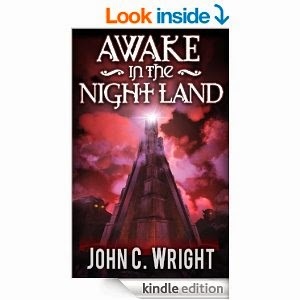 Awake in the Night Land is an easy start - it's a great bloody triangle. Pointed up, as opposed to the usual pointing down, but easy to see. 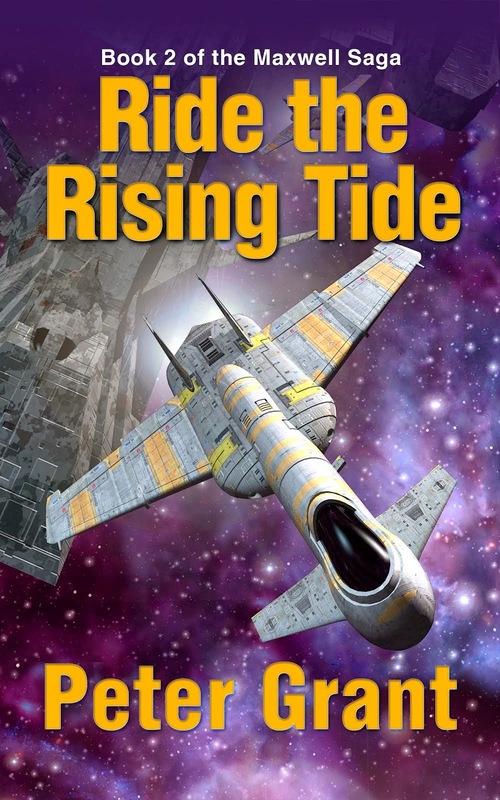 Again, like ride the Rising Tide, you see the long title made into its own little triangle, even as the central triangle of image grounds it point in the title. - the triangle is in the bullet holes, with the point at the bottom right corner of the cover. Yes, he doesn't have a "title block" at the bottom, and it works just great. remember, layout rules of thumb to help make something pleasing, not ironclad laws. 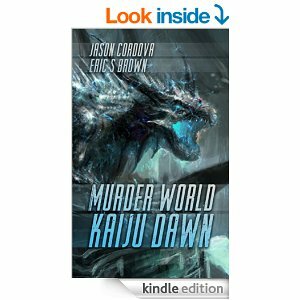 Murder World: Kaiju Dawn did something really cool here, and it's the reason they're not going to get "make your name bigger!" - if you look at the monster head image, it's an offset triangle with the point grounded in the "U" of "Murder". The author names at the top are small - but they have subtle white steaks filling out the rest of the triangle, so they still look very balanced. Cool cover, guys. I could go on and on, but hopefully this is enough for you to start looking around the top books in your genre and start seeing the layout and composition principles at work. A few final related points follow. 1. Make your name bigger because your author name is your brand. As surely as Nike and Pepsi want you to be able to tell their products at a glance, you want readers to be able to identify you in a 60 x 100 pixel cover image in some other book's also-bought or a search results page. 2. 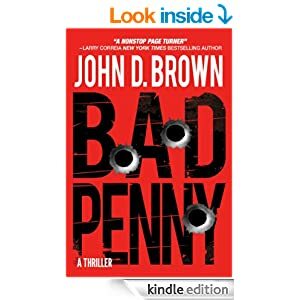 Make your name bigger because trad pub has trained readers that big names are important, awesome authors that should be bestsellers, while small names are forgettable midlist. 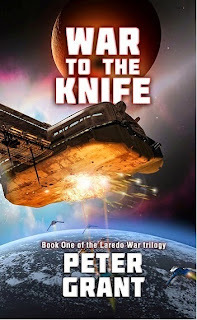 You want to be a bestseller someday - start faking it til you make it, because the reader won't believe it if you don't design your cover like it. 3. When looking for good cover design for your genre, it's often better to check the top 100 print books in your subgenre than the kindle - because kindle has so many more authors who succeed despite their covers, or are in there for one day due to a bookbub promotion and fall right back out. 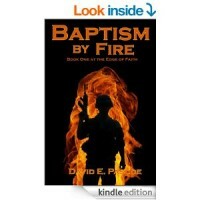 Take what you learn about your genre and subgenre, and apply it promptly to your ebook and print book. 4. 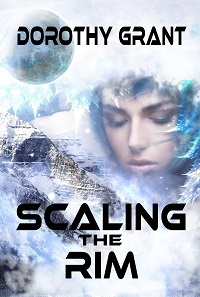 Typography is a whole 'nother can of worms, that'll take it's own long post, as is "cover art for genre/subgenre". This is not comprehensive, it's just an attempt to cover one portion of what makes a good cover. 5. When doing triangles instead of hourglass, they can absolutely be offset any way you want them to - but usually, they will face the bottom right (see Bad Penny, above). If there are people, they should be looking to the right, or to the bottom right. (If not directly at the reader/directly away from the reader.) The reason for this is very subtle - on english books, we read left to right, top to bottom. Grounding the image/action/attention to the bottom right automatically cues the reader to open the book / turn the page, just like when they reach the bottom right when reading on the text of a page. **Oleg, please forgive the butchery of design principles about to be committed in the name of making the concepts understandable to authors. Where the bouncy balls went. Go read it, if you haven't ever heard of it. After your sides are hurting from laughter, come back here to find out what happened to the bouncy balls. Back now? 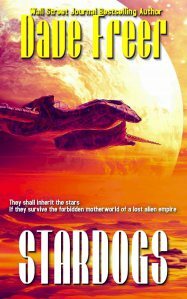 While most of you will remember that AAR as an epic failure by feminists to ambush a Baen author, there were a lot of good pieces of wisdom in there. "Marketing is not sales. Marketing is a method for creating a precondition where sales are easier. To do that you have to create a positive impression of your product, in this case your books, and yourself. The most important point is to create an impression." At every convention, there's a swag table, filled with bookmarks, business cards, flyers, and random sized cards inbetween, usually with cover art for a book, often with a blurb. Friday afternoon at LibertyCon, half the table was filled with free books put out by indie authors, hoping they'd attract potential buyers into the rest of the series, and just about every other square millimeter was filled with the aforementioned other advertisements. I played a form of tetris to make sure I wasn't blocking anyone else's advertisements, and added a handful of ours - cards with slightly cropped covers for War To The Knife (so I could get four in glossy photo quality on an 8.5x11 paper), with the blurb, a QR code directly to the Amazon page, and the URL for that page all fit neatly on the back. Each card was stuck into a plastic bag, along with a bouncy ball. The bags were picked up by congoers over the course of the weekend. There were sightings - now and then, the roving crowd of small kids underfoot would be spotted bouncing balls down the halls or across concrete patios. (Calmer Half had one very cute kid come up at a signing and politely ask for one for her three cats. Being wise, he gave her one for each cat.) We never put out more than a couple handfuls at a time, but they went fast. So, "did it work?" We gave out 175 pieces of swag, so yes, we definitely had something that caught the eye and got picked up. As for immediate sales, yes, we had a nice boost - though definitely not enough to cover the cost of the con. However, we were really going for name recognition. After several panels and a weekend of bouncy balls, there were a lot more people who recognized Calmer Half than people who immediately bought the book. This is awesome, because this is a heavily military sci-fi fan con. (They have an unofficial range trip on Friday morning, ok?) 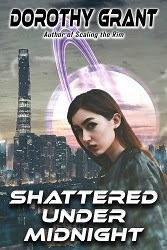 So these folks have now heard Calmer Half's name enough to recognize it vaguely the next time they go looking for something new to read - and that's enough to put us head and shoulders ahead of the mass of unknown authors. And despite the bouncy balls, looks like they'll even let us come back next year! ...this still leaves 50 for the cat. I think she's already lost 20 under various and assorted pieces of furniture. Still, after several nights in a hotel, I look forward to my own bed and the predictable noises of "thump-thump-thump-scrabble-thump-scrabble" tonight! Or, living with a significant other with severe scars, long after the initial injuries. Did you notice your handsome hunk who wears old fatigues on his off days has a handicap plate? Or did you finally get her shirt off and find that not all the dips and curves in her flesh were where you expected them to be? This isn't about how love will conquer all, nor about running screaming into the night. This is about living with survivors. 1. Scars are not cosmetic. Hollywood has a great deal to blame for this - they love to slap a horrific prosthetic on an actor, and then have his stunt men perform feats of athletic prowess while he tries to remember to fake a limp or lisp when needed for the plot. Real injuries don't work that way; the scars on the skin (if any), are the tip of the iceberg to much greater injury below. Nobody wants to be stuck helpless and victimized instead of getting on with life. (If they do, get the heck away from them fast. That mental sickness has a blast radius.) Heck, most of the people walking when they could have been dead men have more of a zeal for life, precisely because they've had a brush with the alternative. Sometimes, the scars don't even show, or are tiny. Crush injuries, torn tendons and dislocations can wreck a body without a single streak of pink or white on the upper skin. Thanks to amazing advances in surgery, a completely smashed-in face may only have a scar or two left, neatly hidden by the beard, and the stents after the heart attack may only have a small scar on the leg to show where the surgeon went up the vein to mitigate the damage. Brain cancer? You might see a punk-rock hairdo with one slit, stapled six times - not even looking as bad as a broken nose. 2. Hard limits, soft limits, and mental limits. Hard Limits - things the body can't do. If she has steel rods in her spine, she's never going to bend like a pretzel in yoga class. If he's got an OEM leg and one replacement, he's never going to walk "normally." These are things that will not change, and are as part of them as their eye color and their laugh. Soft Limits - things the body can do, but there'll be consequences. If he can only sleep four hours at a stretch, it's physically possible for him to stay awake for 16 hours on a road trip instead of the normal 8. If she's on crutches, it may be physically possible for her to cover five miles, instead of the normal 3/4 mile. But there's going to be hell to pay in pain, exhaustion, irritation, medical complications, and long recoveries. Mental Limits - things mind is certain it can't do. Do not dismiss mental limits lightly; they were often driven home by great pain and repeated failure, and there is no easy way to see how wounded a person is in soul, or to help them heal. Years after the scars are formed, you can say the wrong thing and see their soul bleed. When you start seeing someone, they are the expert on themselves as certainly as you are the expert on you. No doctor, no advice columnist, no physical therapy website, has to live with the injuries like he does - and so nobody is going to know where his soft, hard, and mental limits are like he does. People don't come with manuals, and you're going to have to learn by asking and by observation. If she never puts anything she uses on the top shelf, you can be pretty certain that scarred shoulder doesn't handle overhead loads well. Part of the reason people don't come with manuals is also that limits change. Injuries may be healed by the next TV episode or movie sequel with a dashing eyepatch to show, but in real life, the injury isn't over as soon as you ditch the hospital gown or the cast comes off. Some injuries take months to heal, some take years. For most people with severe scars, the complications are going to be there for the rest of their lives. So what was a hard limit six months after the injury "Thou shalt not wear high heels, lest the earth rise up and meet thine face when thou dost try to take a step." Becomes a soft limit "I'll have to be carried to the bathroom the next day, then limping for a week, but damnit, I'm going to be wearing heels for my sister's wedding!" And with years of work, may eventually become a mental limit alone. "Oh, no, I hate wearing heels. You get them; I'll pass." And that may become a soft limit again. "Oh, dear. I could wear heels, but with the arthritis in these old knees, it'd have to be worth it." The only way you will learn the difference is by trust, love, and open, honest, respectful conversation, combined with observation and actively working together. 4. There will be complications. Okay, maybe you just happened on the one guy who will never have complications from the fact that he has a two-inch-deep scar in his midriff. But he wasn't that lucky before, and do you really feel that lucky now? Injuries bad enough to really, really hurt people are complicated, and some complications pop up years after the fact. There's the 80-pound weight gain no matter what you try for diet or exercise, until a pharmacist goes "Oh, yes, that's a side effect of four of these prescriptions. Let's try alternatives..." The prosthetic may not fit well enough right now to go on the hike you were both looking forward to. A storm front is coming (barometric pressure drop), and she went from vivacious to curled up in a stiff little ball with no interest at all in dancing. Cancer can come back. 5. Things will change for the better. a. Respect the hard limits. Never give an order that can't be obeyed, and never request the impossible from someone you love. b. Only push the soft limits if the rewards are worth the pain. And when you do push, make sure to do it with love, understanding, respect, and plenty of recovery afterward. Yes, we did the walking tour of Mammoth Caves. Yes, he made it only because the alternative was waiting for a cave rescue team to come in after several hours and try to carry him out on a stretcher.. but he made it! I made sure he took painkillers before, and had them immediately afterward. I did not ask him to go anywhere or do anything that pushed him for two weeks, and made sure he had plenty of rest and chiropractor visits. c. Slowly, gently, with love and understanding, work on the mental limits. Some are permanent, and they'll never change any more than you can stop a man from responding to an unexpected pounding on the door at 3:30am with his shotgun (and possibly without anything else on.) Some will seem permanent, until the day she wakes up and they suddenly...aren't. Others you can conquer together, like climbing a mountain. Together, helping each other, you can do far more than you dreamed she could when you first met her. Sure, you like to hike, but she's determined to tackle the Pacific Coast Trail and put the shattered "you'll never walk again" in its grave. You'll climb mountains, ride the Tail of The Dragon, windsurf off Baja, snorkel the Great Barrier reef... or the equivalent, of being able to graduate from walker to cane for an entire trip through the grocery store. It's all in where you start, to how awesome the resulting victory can be. And you'll learn to savor the victories in life, little and big. It is stupid, malicious, small-minded, petty, and frankly evil to cause hurt and pain to another person only to avoid inconvenience to yourself. It is loving and caring, generous and kind to support and assist a person in painful stretching of boundaries in the long quest to get closer to pre-injury abilities. Be very honest with yourself, and with your significant other, on what you're doing and why. 6. Things will change for the worse. There's only one way out of this life, and if you don't go young, you'll get old. As the body gets older, the ability to heal slows down, and the wear and tear of life speeds up. Your spouse is much further down this road, in many ways, than you are. When they struggle to get out of bed in the morning at the ripe old age of thirty-two, ten years after a bad day in Iraq... well, you're going to be doing the exact same struggle when you're fifty. This is not as bad as you fear. Because when you hurt, when you are looking at the trail and thinking "I just can't. There's nothing left in me. ", well, he's going to be sucking wind right beside you and saying with a grin, "I know exactly how you feel. That's why I got the hotel with the hot tub and the better beds. You'll be okay in the morning." And you will be, and he'll be right there beside you, every step of the way.